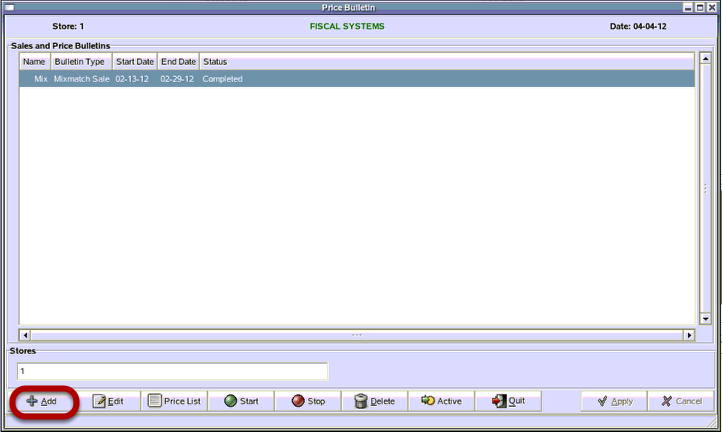 TravStar1 Point Of Sale SystemManager's Work Station Advanced Pricebook ManagementHow Do I Setup a Mix Match to Start on a Specific Date? How Do I Setup a Mix Match to Start on a Specific Date? 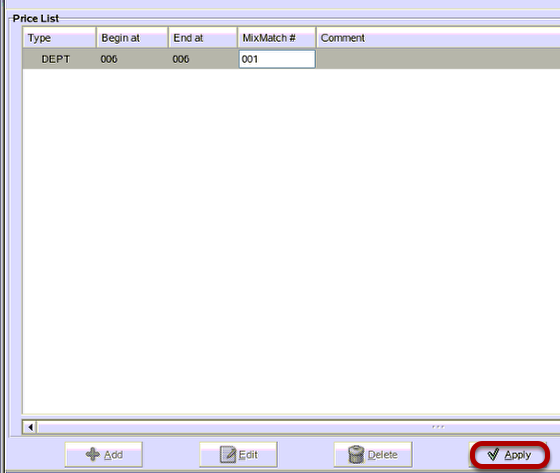 This lesson will teach you how to setup a mix match to run for a specific date range. 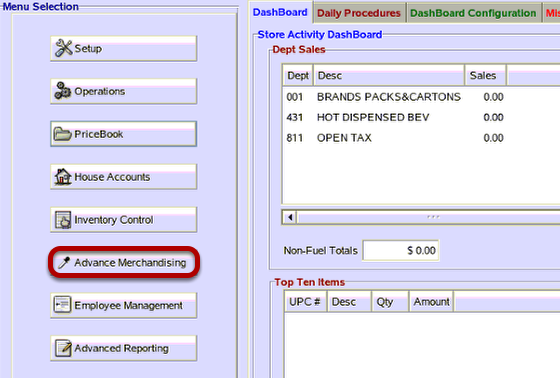 For this example, we are going to setup mix match 001 for all items in department 006 for one week. 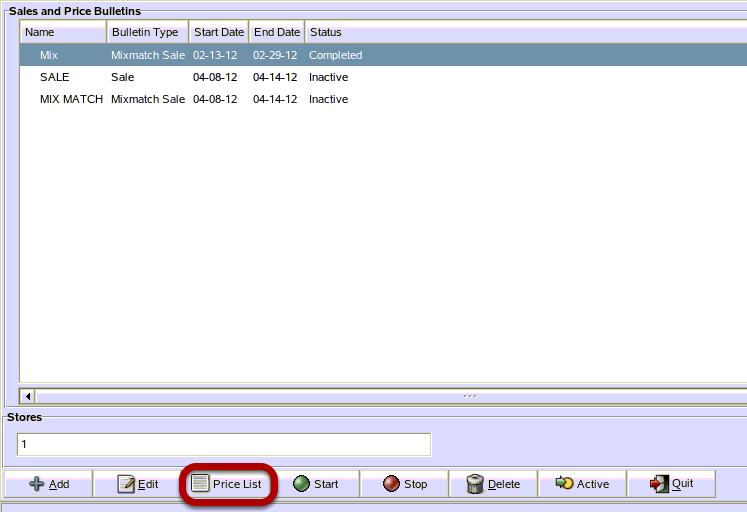 (2) Click inside the Select Date box beside the Start Date. 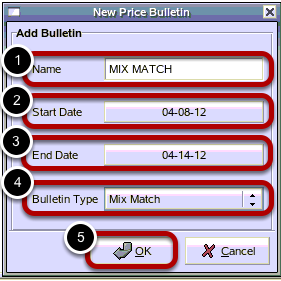 Click on the beginning date you want the mix match sale to start on. (3) Click inside the Select Date box beside the End Date. Click on the ending date you want the mix match sale to end on. (4) Click inside the box beside the Bulletin Type. 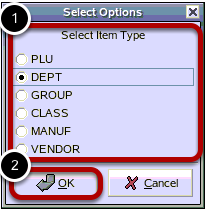 Click on Mix Match from the drop down list. 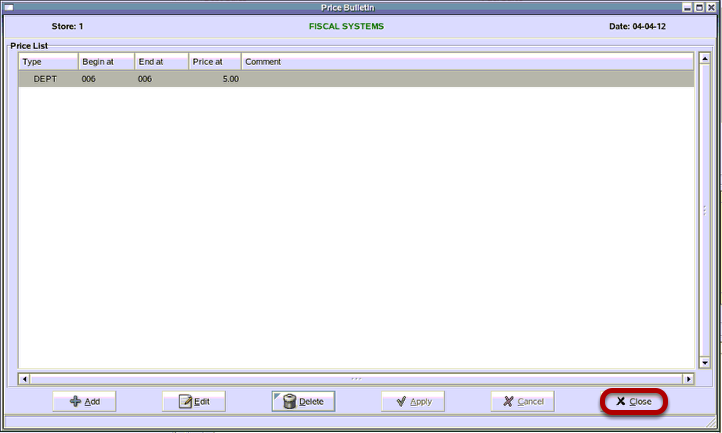 From the Price Bulletin screen, click on the "Price List" button. (2) Click inside the MixMatch # column for the new sale. Type in the Mix Match ID you want to apply to the sale. 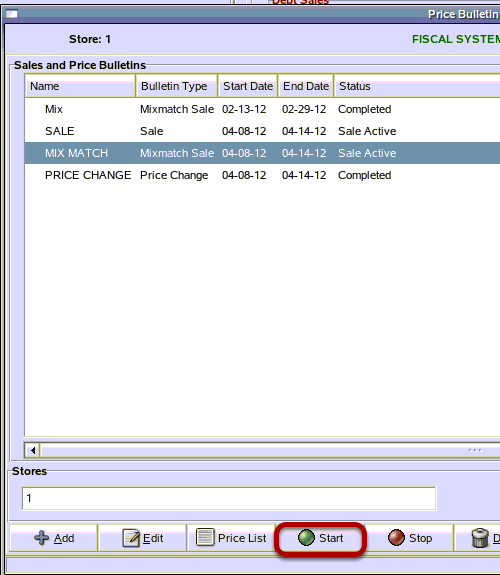 (1) From the MixMatch # column, type in the mix match code being applied to the sale. From the Question screen, click on the "Yes" button. 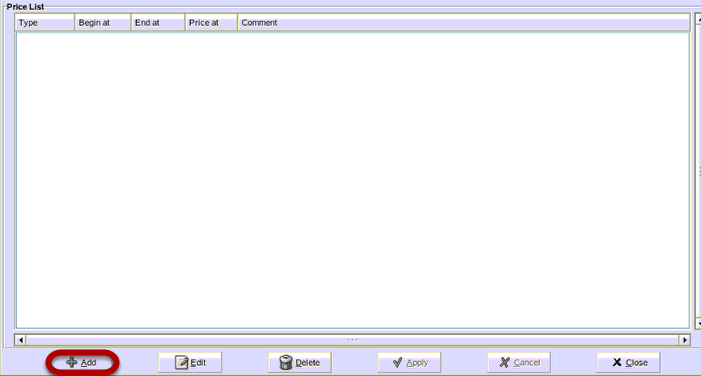 If you do not want to accept your price list entries. click on the "No " button. This will take you back to the Price List screen. 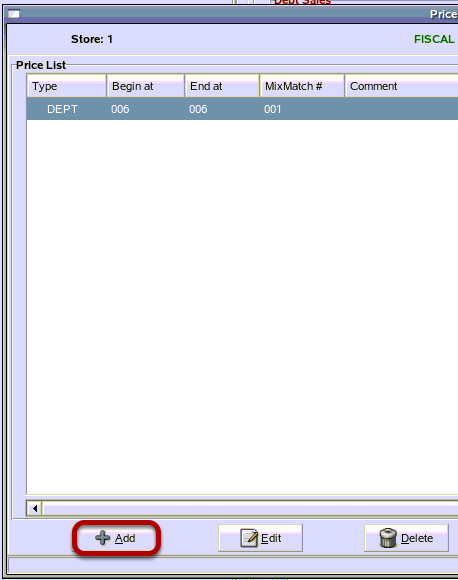 From the Price List screen, click on the "Close" button. 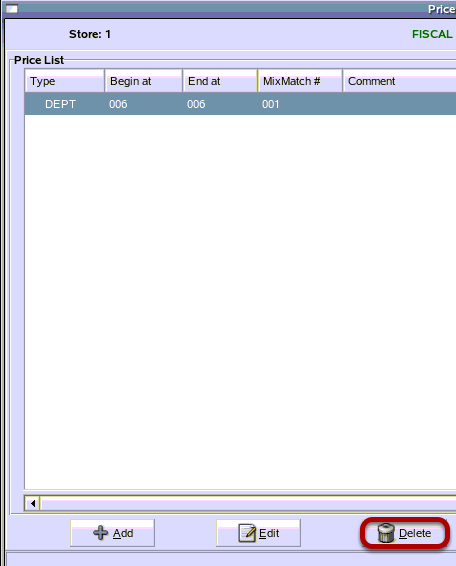 Prev: How Do I Setup a Sale to Start on a Specific Date? 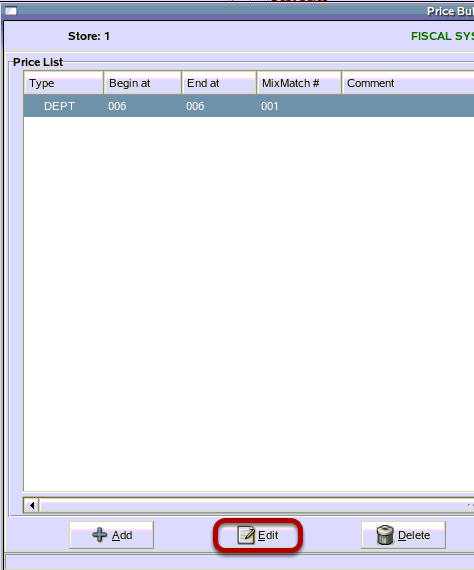 Next: How Do I Setup a Price Change to Start on a Specific Date?